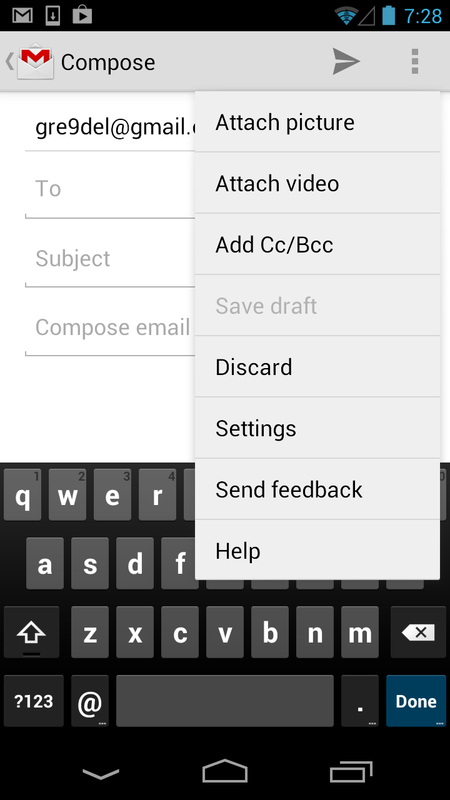 Google has released Gmail 4.2 for Android devices. This version of the app brings a bunch of new features including message zooming and ‘swipe to archive’ as well as delete. Most of the new features are for Android 4.0 and up devices only and bring features that first appeared in Android 4.2 Jelly Bean. The update also features a new auto-fit mechanism that snaps message content to the screen, and the ability to zoom in and out on content inside messages. This needs to be enabled in settings before it will work. 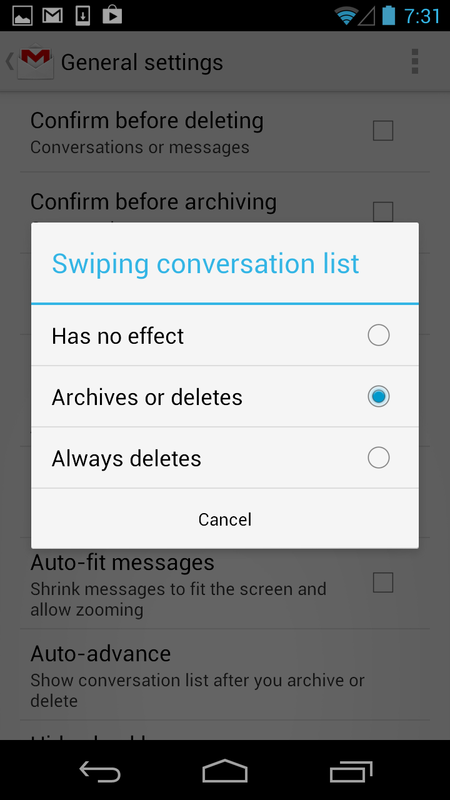 Swiping was previously confined to delete commands, but you can now also archive your messages with a gesture if you choose. You can attach photos and videos from inside the app now, rather than having to initiate an action from a gallery. This streamlines the process significantly and makes it feel more like an actual email client, rather than a standalone app. Larger photo previews and gallery view are also included for photo attachments.